Your email inbox is a treasure trove of personal data. The people you contact, your writing style, which messages you flag as spam — all of this information and more can be used to paint a clear picture of you. Google knows this as well as anybody, so they use this data to constantly improve your experience in Gmail. A majority of the features being added rely on Gmail's automated scanners. This system reviews your emails and analyzes their contents to enable specific features and tools. While some have fought for its removal, it's the backbone for the improved experience millions of users enjoy. Thanks to this collection of data, Gmail has been able to rise to the number two email client with 22% of the market share. When you sign up for Gmail, you automatically give Google the right to analyze all emails sent and received from your account. Using automated scanners, Gmail reviews the contents of the email to enable certain features. One such feature that has come of this is Priority Inbox. 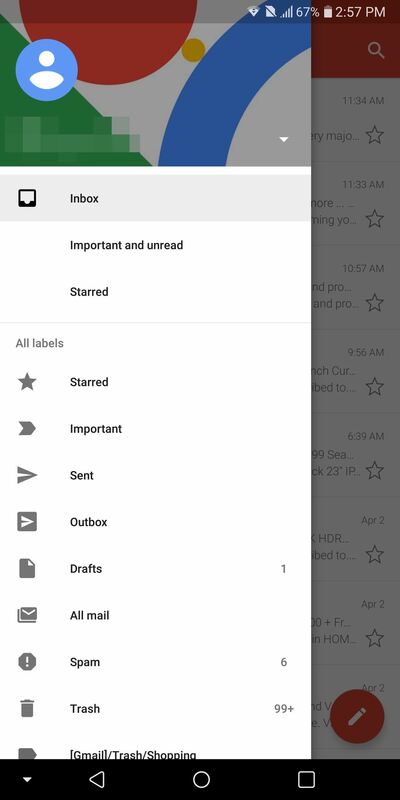 With Priority Inbox, Gmail rearranges your inbox into three categories: Inbox, Important and unread, and Starred. Gmail will scan incoming emails to determine if the message is important or would require your immediate attention. 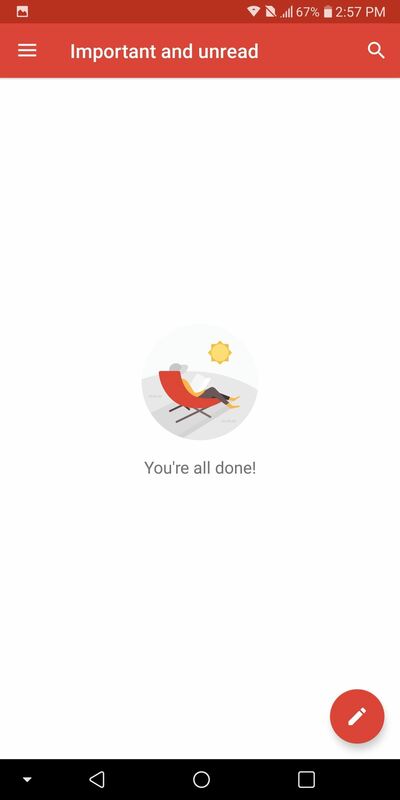 If a message should be dealt with soon, Gmail stores it under Important and unread. If you manually star a message, it moves to the Starred inbox. Your mobile app will only sync messages for both of these inboxes, meaning you will only receive notifications if a message appears in the Important and unread or Starred inbox. Everything else will be stored in the Inbox category where you can interact with them later. The way Gmail determines where to put incoming emails is based on various factors — all of which are themselves based on information gathered when Gmail scans your emails. Information such as which emails you replied to, how often you send messages to that email address, and which emails you previously opened are just a few of the factors used to determine placement. We wrote an in-depth tutorial on how Priority Inbox operates and how to enable the feature (it is turned off by default), which you can find using the link below. In addition to using automated scanners for filtering important emails, Gmail uses the data acquired from the scanners to conduct another type of filtration: Screening out malware and spam. Unfortunately, emails are a common target for malicious individuals trying to either spread malware or other forms of spam. Like malware, spam messages are constantly evolving to better avoid the detection abilities of email clients. Back in the day, spam was easier to detect, the sender's email address often gave them away. Nowadays, this isn't always the case, which means Google needs to analyze a large sample of data to find patterns that will help them detect future attacks. Gmail also allows its users to manually mark emails as spam, providing further data to assist in the fight to protect your inbox. 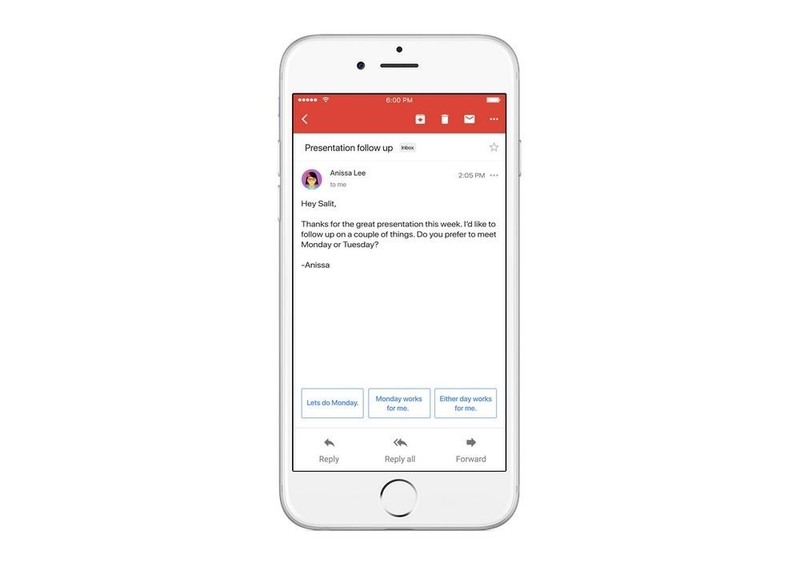 Google first introduced Smart Reply in Gmail for mobile users. This feature also relies on the automated scanner, as Google is able to analyze the contents of the email and provide appropriate canned responses for you to choose from. This tool makes it easy to quickly respond to emails without having to actually type anything. As you continue to compose emails, Smart Reply modifies its suggestions based on the way you communicate. For example, if you tend to say "sorry!" over "sorry", Smart Reply will include the difference in its suggestion. Thanks to Google's integrated suite of apps, Gmail can leverage the features of other Google apps to expand its own features. One such feature uses Gmail to make Google Calendar even smarter. 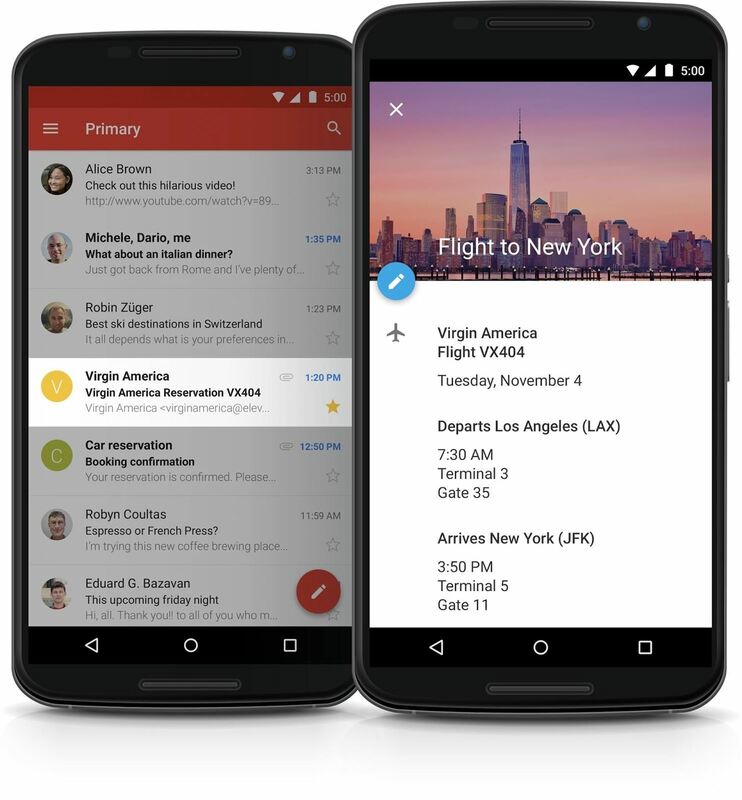 Gmail can determine whether an email contains flight, hotel, restaurant, or event information. When it sees this information, Gmail will use the data to create an event in Google Calendar for the event described in the email. This automated process not only saves you time, but it's also a continuous process. If any changes are emailed in regards to this event, Gmail will update the calendar event to reflect the new changes. Another feature that leverages Google's tight integration of apps is the automatic filling in of saved contacts. Using Google Contacts (which automatically syncs contacts from Android devices), Gmail can assist you in composing emails. Instead of typing out the email address, you can simply type their name and Gmail will suggest their address. Your inbox also benefits from this data, as Gmail will use your contacts to add pictures to emails created by a saved contact. The small feature adds personality to your inbox and makes it easier to identify emails from your favorite individuals. Gmail is also integrated with Google Pay (Android Pay combined with Google Wallet). Using information from the mobile payment app, Gmail lets you send and receive money from other US-based email addresses. While the receiver doesn't need to have a Gmail account, they do need to create a Google Pay account to receive money. All transactions are free, so there are no fees for either the recipient or the sender. For more information about the process, check out the link below. The bulk of Google's revenue comes from selling advertising space. Because of Google's large user base, hundreds of advertisers want their audience. However, marketers want to reach the right audience, as ads which are ignored do nothing for their bottom line. Fortunately, Google can help. Previously, Google used Gmail's automated scanner to assist them in selling ad space by leveraging the information learned about the user to help create more targeted ads. However, after much backlash from the public, this process was ended. Instead, Gmail contributes to more personalized ads by providing the user the means to swipe away advertisements they don't want to see. Ads shown at the top of your inbox are swipeable. Ads swiped away are recorded by Google, which modifies what ads is shown next. Without your data, Gmail wouldn't have been able to grow to the number two email service. The data it collects allows it to separate itself from other email services. All of this creates a personalized experience unique to each user. What are your thoughts on Gmail's data usage? Let us know in the comments below.